Our next stop in our Doors Open Ontario tour takes us to the capital city of Ontario. Toronto’s 14th annual Doors Open festival runs through May 25-26th and offers folks the opportunity to explore nearly 150 historical and cultural significant buildings across the city. 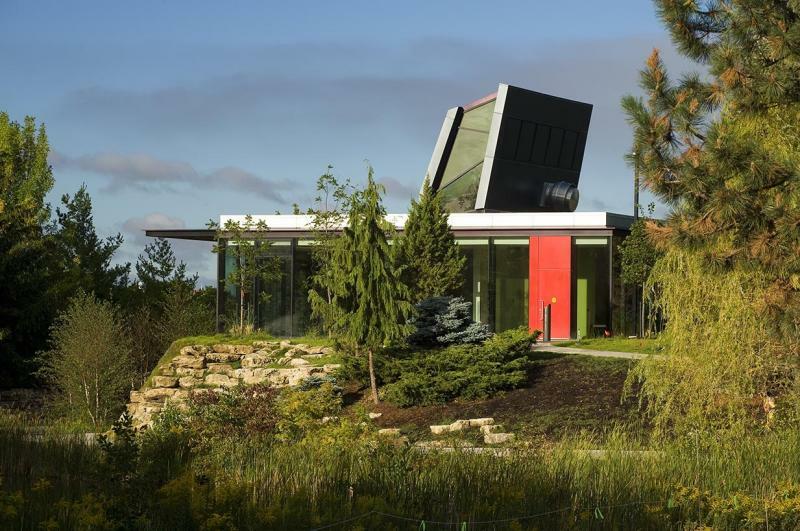 While there are many green buildings within Toronto, one of them the Humber Arboretum Centre for Urban Ecology showcases how communities can create sustainable environments in urban spaces. Through collaboration with the City of Toronto, the TRCA (Toronto and Region Conservation Authority), and Humber College in 2007, the Humber Arboretum Centre was built to replace the former bird observatory that was built there in 1977. A Gold LEED certified building has won various awards for its green building initiatives such as the Ontario Association Architects (OAA) Design Excellence Award and became the first building in Ontario to be awarded platinum certification from the Ontario EcoCentres Certification Program. The Humber Arboretum Centre is a unique stop in the Doors Open festival because it really is a unique place to visit. It embodies our ability to live sustainably and harmoniously with our natural environment without sacrificing architectural design and aesthetics.